With the rapid development of modern logistics, automatic conveying equipment has been widely used in all fields;Roller conveyor is also widely used because of its advantages of stable conveying, good embeddability, convenient maintenance, low energy consumption and long service life. 4.Unable to avoid the skidding between the goods and conveying surface, especially when the speed of conveying is fast with frequent startup and shutdown. For the above conveying occasions, we usually use belt conveyor instead of roller conveyor.But the belt conveyor also has the restrictions such as frequent maintenance,big energy consumption and the high cost.It can’t be embedded in the equipment. It is generally used in the long-distance conveying.With the development of modern logistics, especially in the modern logistics sorting center, short-distance belt conveyor is required to start and stop frequently, conveying goods efficiently and rapidly .Do we have better solutions? 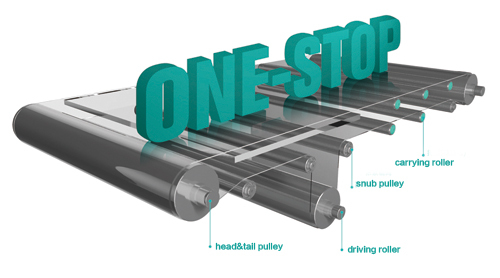 For 20 years,Damon Industry team, focusing on the conveyor roller, has conducted continuous research and test for this requirement;The technology application team brought upa bold idea, jumped out of the original roller restrictions and found innovative application solution that roller is covered with special belt -- "micro belt conveyor pulley.". 2.The anti-deviation is preset without designing and configuring anti-deviation mechanism of belt. 3.It is very convenient for designers to carry out embedded design in other equipment. 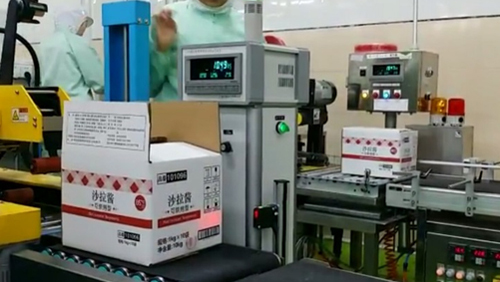 The innovative solutions of Damon Industry team has been widely used in Jingdong Logistics Center, Vipshop sorting center, Ymatou Distribution Center, Kewpie Mayonnaise testing center and obtained customers’ affirmation. Damon Industry willingly becomesnot only aconveyor roller supplier but also a solution provider with focus on conveying roller for the customers to contribute to the development of modern logistics!